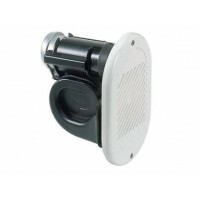 SK1 12 Volt Horn White Electromagnetic horn for small boats. High impact casing in chromed or white ASA. Mounting bracket in AISI 304 stainless steel. Excellent drainage system. 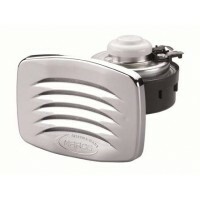 M..
SK1/C 12 Volt Horn Chrome Electromagnetic horn for small boats. High impact casing in chromed or white ASA. Mounting bracket in AISI 304 stainless steel. Excellent drainage system. 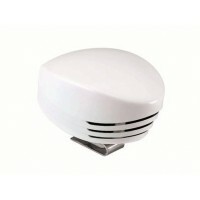 ..
SM1 12 Volt Horn White Electromagnetic horn for small boats. 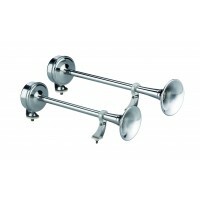 High impact casing in chromed or white ASA. Mounting bracket in AISI 304 stainless steel. Excellent drainage system. 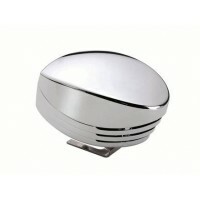 M..
SM1/C 12 Volt Horn Chrome Electromagnetic horn for small boats. High impact casing in chromed or white ASA. Mounting bracket in AISI 304 stainless steel. Excellent drainage system. 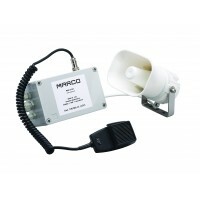 ..
EMX1 12 or 24 Volt Trumpet Horn Stainless Steel Electromagnetic horn for small boats. High impact casing in chromed or white ASA. Mounting bracket in AISI 304 stainless steel. 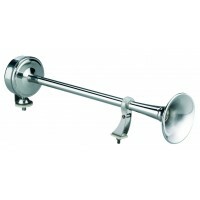 Excell..
EMX2 12 or 24 Volt Trumpet Horn Stainless Steel Electromagnetic horn for small boats. High impact casing in chromed or white ASA. Mounting bracket in AISI 304 stainless steel. Excell..
EMX1/2 12 or 24 Volt Double Trumpet Horn Stainless Steel Electromagnetic horn for small boats. High impact casing in chromed or white ASA. Mounting bracket in AISI 304 stainless stee..
HR1 12 or 24 Volt Air Horn White Electromagnetic horn for small boats. 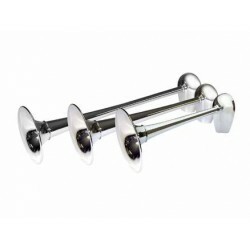 High impact casing in chromed or white ASA. Mounting bracket in AISI 304 stainless steel. Excellent drainage system. 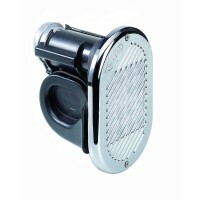 ..
HR1/C 12 or 24 Volt Air Horn Chrome Electromagnetic horn for small boats. High impact casing in chromed or white ASA. Mounting bracket in AISI 304 stainless steel. Excellent drainage syste..
EMH-M 12 or 24 Volt Multifunction Horn/Whistle Multifunction electronic whistle with loudspeaker, AISI 316 stainless steel bracket and electronic unit. Waterproof. Available with the followin..
EMH-MS 12 or 24 Volt Multifunction Horn/Whistle/Siren Multifunction electronic whistle with loudspeaker, AISI 316 stainless steel bracket and electronic unit. Waterproof. Available with the f..